Beginning with the unveiling of a Telecommunications Master Plan in 1998, the City of Santa Monica has reduced the cost of laying fiber optic cable by nearly 90 percent by coordinating installation with other capital projects while issuing no additional debt. As of the end of 2013, the City of Santa Monica maintains 32 free Wi-Fi hotspots along nine major commercial corridors and has managed to synchronize 80 traffic signals, according to a report by the Institute for Local Self-Reliance (ILSR). Additionally, generating $5 million in revenue toward the City General Fund, the city has lowered the cost of high capacity internet connections for businesses by over two-thirds. “We’re gratified by this recognition of Santa Monica’s success at building out digital infrastructure, which we hope can serve as an example for other communities on how to proceed incrementally, sustainably and even profitably,” said Santa Monica Mayor, Kevin McKeown. Fort Collins voters are likely to be asked in November to give the city authority to look into providing broadband service. However, if voters approve the proposal, the city is not locked in to being a service provider. A “yes” vote would only open the door to the city exploring options and getting into sundry details, such as the role “incumbent” providers (Comcast, CenturyLink, etc.) might play in city-provided broadband, the cost of service, how to fund infrastructure upgrades, and so on. Access to information on jobs, housing, educational resources and health care — all increasingly found online — elude those without funds to pay for access as Internet costs rise and competitive pricing stagnates. Key players in civic life can similarly help to facilitate broadband projects. Anchor institutions such as libraries, schools, and hospitals can be portals for better access to broadband Internet. 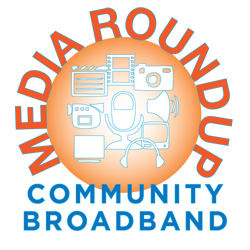 Philanthropic organizations have provided, and can continue to provide, key support to broadband-friendly efforts. In Chattanooga, Tenn., and Kansas City, for instance, the Enterprise Center and KC Digital Drive, respectively, have worked to promote the adoption of broadband by city residents. In the 21st century, high speed Internet access has emerged as more than just an information superhighway. It is essential infrastructure for improving our quality of life. That's why it's so important that all of a community's stakeholders be involved in making it happen. While cable TV and the huge telephone companies are not mentioned by name on the new website or in an ad in The New York Times unveiling the campaign, it is clear that these major system providers are the target of the new group's wrath. The announcement characterized the current market condition as "a chronic disease" affecting the entire information economy. It urged the FCC to move forward aggressively "on its critical work to address the scourge of high broadband prices and anticompetitive behavior by advancing meaningful broadband competition."